Chris is the Head of Business Strategy at the Catapult, working with start-ups, SMEs and larger corporates on how to best commercialise their great technologies and/or services. He and his team help companies with business plans and models, market intelligence, commercialisation, roadmaps and sources of finance. 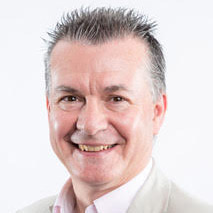 Chris has direct experience (as Managing Director) of running an SME in a technology-rich environment and the challenges that the sourcing of finance brings in the context of the technology and commercialisation roadmap. He has also worked in an SME as a Management Consultant using risk-based approaches to facilitate solutions in the rail and health sectors and has delivered projects within corporates in the fields of drones, battery and fuel-cell technology, combustion technology, non-destructive testing and asset life management approaches. Chris is an avid fan of the progressive rock band Marillion, having seen them live nearly 50 times now across the UK, Europe, Canada and USA, and also a keen follower of Formula 1 (travelling to Germany, Belgium and Spain so far, and with plans for Singapore’s night race some time soon). If you have queries on your business model, your ‘go-to-market’ strategy or your base assumptions, Chris would be delighted to speak to you in more detail about how a Catapult can help.